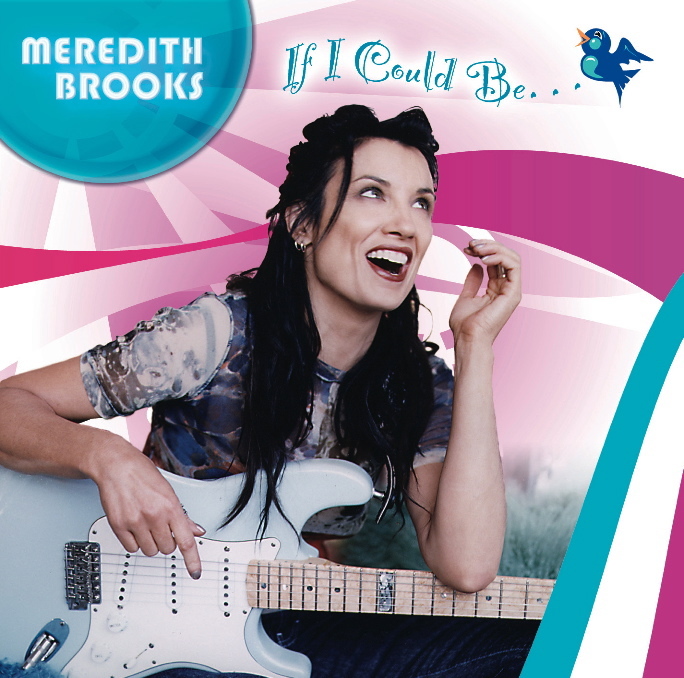 Kissing Booth Music has just released, Grammy nominated artist, Meredith Brooks' debut children's album, "If I Could Be..." - Available Now. It's funny how trying to be the best mom I can be and feeling so happy about it has produced the most inspired music of my whole career. Meredith Brooks, the artist who electrified the world and established herself as an undeniable creative force in a generation of female rockers with her multi-platinum disc "Blurring the Edges", became a mother in 2004. Motivated by the birth of her son, Meredith has focused her imaginative energy and passion towards the writing and recording of a children's record, "If I Could Be...". "It's funny how trying to be the best mom I can be and feeling so happy about it has produced the most inspired music of my whole career." says Brooks. "If I Could Be..." captures the electricity and magic of all that has happened for Meredith, with the same song writing caliber of her past releases. The difference is that this album is written for young children as well as their parents. It explores all of the wonder within the everyday events of childhood. "From day one of my son's life, beautiful melodies would pop into my head and I'd start singing them to him, -- funny songs too -- songs about what I imagined he was thinking," says Brooks. "If I Could Be..." is the perfect album for children and parents to enjoy together. This album is what a children's album should be... engaging, interactive, and fun. Brooks says, "Making this record has been so effortless and enjoyable. This has been the best writing and recording experience of my entire life." The first single, "Drive The Car", has already reached the #1 chart position on XM Kids Radio. Kenny Curtis, Program Director at XM Radio, says of the album, "Well-crafted tunes (with preschool sensibilities) and outstanding production values fueled by Brooks' dynamic vocals and ebullient personality that somehow weaves it's way into each track. These are "kids songs" that "Rocker Moms" can latch onto." Meredith is currently supporting the album's release with appearances and concerts across the US. For more information please log on to: meredithbrooks.com.